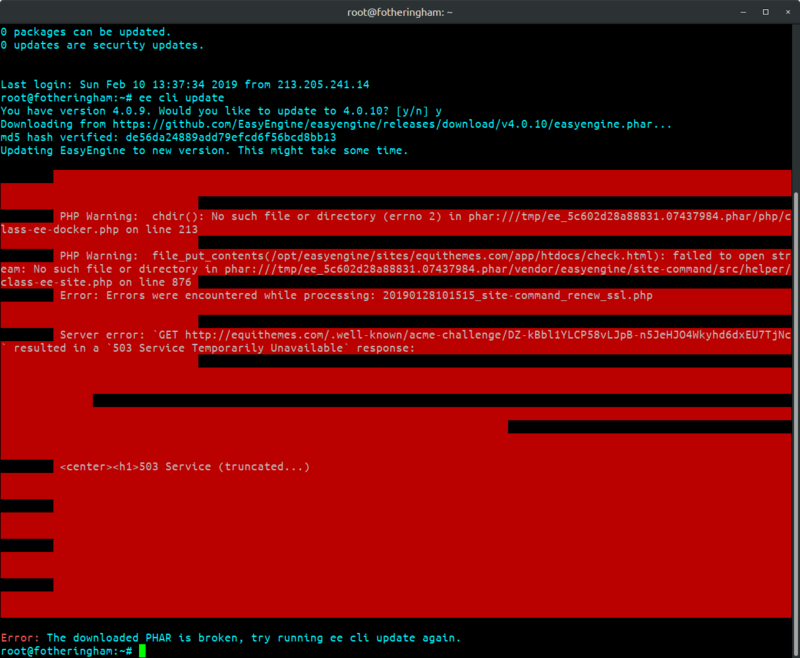 Error: The downloaded PHAR is broken, try running ee cli update again. Running ee cli update again produces the same result. doesn anyone found a solution for this problem? i have the exacr same error - every idea a welcome! Thanks patric for your reply! I think i have todo the same as you. Yup, due to my ignorance and the deafening silence in here, that was the way I “solved” it too! @ terencemilbourn Today I tried to update from 4.0.10 to 4.0.12 - but it also failed. It looks like I can not update. Which version do you run? Can you update now?